The most important woman in the history of southern California never lived. The eponymous heroine of Helen Hunt Jackson's popular 1884 novel Ramona, a half-Indian beauty raised on a wealthy Mexican rancho, nonetheless left an indelible imprint on southern California's landscape. Within a year of its publication, landmarks identified with Ramona's fictional life - her birthplace, her home, the site of her wedding, and her grave - became important, even canonical parts of a visit to southern California. One could take the Ramona freeway to town, cook like Ramona, and smell like Ramona. The novel's romanticized version of California's Hispanic past also inspired films, songs, musical instruments, jewelry, clothes, beer, wine, canned goods, collectibles, and a play that still draws thirty thousand people annually. Although historians and other writers have acknowledged Ramona's importance in the shaping of southern California's regional identity, there has never been an in-depth study of the origins and evolution of the "Ramona Myth" itself - until now. In Ramona Memories, Dydia DeLyser traces the myth's emergence within the context of the late nineteenth- and early twentieth-century tourist industry. DeLyser explores the establishment of tourist attractions by fans of the novel. She details the stories of individual Ramona enthusiasts who, guided by numerous travel books and articles, wove the text of the novel and its lavishly described locations into their own lives, from pilgrimages to either of the two ranchos acclaimed as Ramona's home to Ramona-themed luncheons and hopeful honeymoon visits to the Wishing Well at her marriage place. 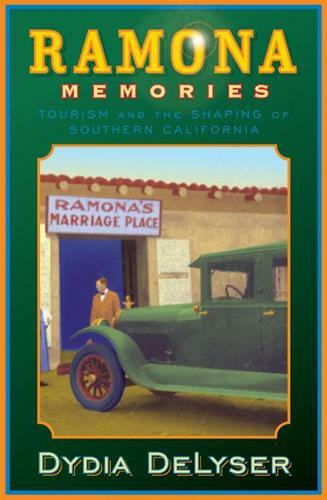 Based on more than a decade of meticulous research, Ramona Memories reveals how a fiction - and the real places and products that it inspired - helped to make an idealized past visible, permeating southern California's social memory.